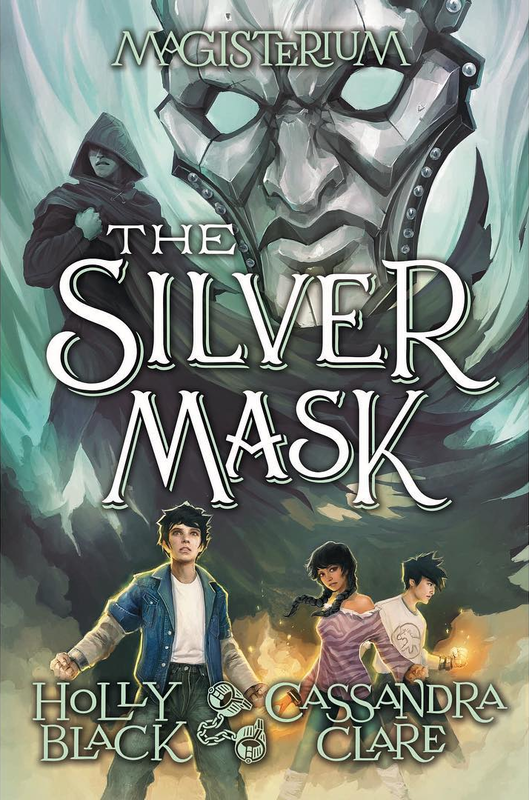 Cassandra Clare and Holly Black’s The Silver Mask, the fourth book in their Magisterium series, is published in just ten days and yesterday Cassie shared an exclusive snippet in her latest newsletter. What’s The Silver Mask about? A generation ago, Constantine Madden came close to achieving what no magician had ever achieved: the ability to bring back the dead. He didn’t succeed . . . but he did find a way to keep himself alive, inside a young child named Callum Hunt. Now Call is one of the most feared and reviled students in the history of the Magisterium, thought to be responsible for a devastating death and an ever-present threat of war. As a result, Call has been imprisoned and interrogated. Everyone wants to know what Constantine was up to—and how he lives on. It is only when he’s broken out of prison that the full potential of Constantine’s plan is suddenly in his hands . . . and he must decide what to do with his power. In this spellbinding fourth book of Magisterium, bestselling authors Holly Black and Cassandra Clare take us beyond the realm of the living and into the dangers of the dead. Call heard Tamara’s awful gasp. She staggered back, and Jasper caught her arm. Call couldn’t have done it. He was completely frozen. It was definitely Aaron on the table. He lay on his back. His blond hair had been brushed. His green eyes were open and blank. Havoc put his head back and gave a single, awful howl of loneliness, abandonment, and horror. It was like he was making the sound Call couldn’t make. It rang and rang in Call’s ears as he stood there, his body beginning to shake. Who else is looking forward to The Silver Mask? Cassie and Holly will be celebrating their book’s launch on October 9 at The Odyssey Bookshop (South Hadley, MA) so if you live close, you might want to check out this post.